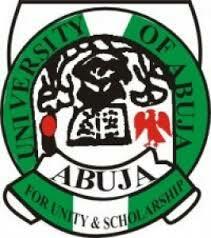 University of Abuja (UNIABUJA) Post-UTME and Direct Entry Screening Exercise Form, Eligibility, Admission Screening Requirements, Date, Time and Venues for 2018/2019 Academic Session. Applications are invited from suitably qualified candidates for admission into the University of Abuja (UNIABUJA) Undergraduate Degree Programmes for the 2018/2019 academic session. Online Registration for UNIABUJA post UTME and Direct Entry screening exercise commences on 1st August, 2018 and ends on 7th September, 2018. Visit the University of Abuja 2018 Post-UTME Screening Portal at www.uniabujautme.com/putme and create your profile.